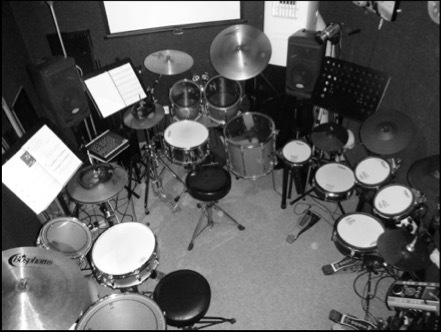 I offer individually tailored private one to one drum kit lessons at my purpose built studio in North Hykeham. My aim is to provide students with the knowledge and skills to enable them to play with or without music in a variety of musical styles. Creating a positive, enthusiastic environment is central to my teaching philosophy. I can build on your playing confidence and give you a strong foundation if you are just starting out. From September 2018, I am able to offer peripatetic lessons to primary and secondary schools. I hold a current DBS (enhanced) certificate and have a 100% exam pass rate grades 1-8 (Trinity College London and RockSchool). If you would like to submit an enquiry or ask me a question please send an email to mailto:hello@thefunkydrumshack.com or contact me by phone on 07973 185901. As a drummer and percussionist, I have played in many countries around the world and toured extensively throughout the UK. I have been involved in many musical settings, from orchestral, jazz, musical theatre to pop and rock. In 1995, I toured the major UK arenas with Blur and have also supported The Crusaders and Ruby Turner. In 2003, I made my West-End theatre debut in 'Rat Pack Confidential' at the Whitehall Theatre. I have also been a guest drummer with The Royal Philharmonic Orchestra's educational hub in 2010. On the jazz scene, I have performed with Jim Mullen, Bobby Shew, Dave O'Higgins, Jean Toussaint, Bruce Adams, Alan Barnes, Dave Newton, The Matthew Herbert Big Band and the National Youth Jazz Orchestra. I have also been very fortunate to perform at various jazz/blues venues in San Francisco and major jazz festivals across Europe. My studio work has included recording sessions for Thames, Granada, Central TV, CTS and Abbey Road Studios. As a composer, I have written for short films, jingles, multimedia projects and examination curriculum. My credits include BBC Radio 4, Carlton TV and Trinity College London. I have four compositions which are featured in the new Trinity College London 'Raising The Bar' series. As a teacher, I have taught in primary and secondary schools for the Lincolnshire Music Service between September 2005 and July 2018. 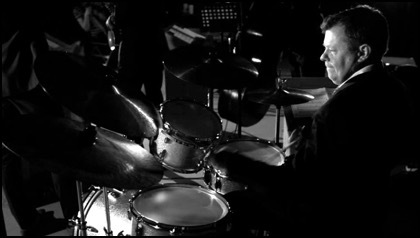 I am an Associate Lecturer in drum kit and percussion at The University of Lincoln. Many former pupils have gone on to study at some of the UK's top music conservatoires and universities. One of my students has just completed his jazz performance module at North Texas State University in the USA. I teach privately on Monday, Tuesday and Wednesday evenings between 6pm and 9pm. Thursday evenings are used for either cancellations due to illness or unfortunate circumstances only. All lessons are taught at my studio in North Hykeham. Pupils can book on a weekly, fortnightly or monthly basis. Students who attend on a regular basis will get priority time slots. Lessons are tailored to each students needs and ability. Homework, sheet music and audio files are uploaded after each lesson to my Cloud-based server. The storage media is secure and in a read only format. Each pupil will receive a unique link to access their own individual folder. My teaching concept is based on 'Eyes,Ears and Knowledge'. 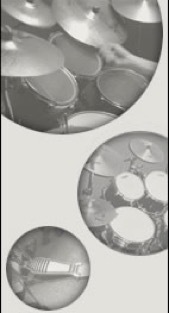 To develop the necessary reading and improvisational requirements of the modern drummer. 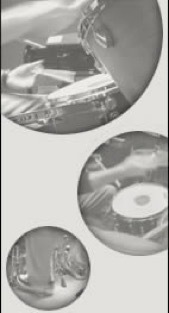 To embrace different musical genres and to be aware of the major historical drumming pioneers and their methods. I have written my own tutor book (FDS Book 1) and supporting material for the early stages of learning the instrument. More advanced resources are made available to pupils who demonstrate a strong technique and also have a good understanding of genre. Both Trinity College London and RockSchool syllabuses are taught. My current pass rate is 100% grades 1-8. A thirty minute lesson is £13 and an hour lesson is £25. Semi-pro or professional drummers are charged at a standard rate of £30 per hour. From September 2018, all lessons are paid in advance (cash or BACS). The only exception is for absolute beginners who are allowed to pay for the first three lessons (individually) before making a commitment to attend regularly. Blocks of 5 x 30 minute lessons can be purchased for £65 either. Blocks of 5 x 60 minute lessons can be purchased for £125. Please note a period of 24 hours cancellation notice is required for all lessons. Sudden illness is obviously unavoidable and I will endeavour to find an alternative date where possible without incurring a charge. If I have to cancel at short notice, I will offer a free next lesson to every pupil affected. 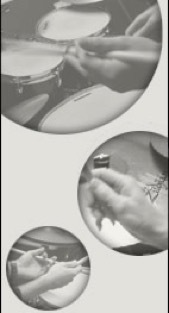 Since leaving Lincolnshire Music Service in July 2018, I am continuing to teach as a self employed drum kit and percussion peripatetic tutor in primary and secondary schools. Apart from teaching one-one, I have experience running samba, world and junk percussion ensembles. I can also assist pupils with GCSE and A Level Music performance and composition requirements. I have a fully (enhanced) portable DBS and have taught SEN children throughout my teaching career. References and recent lesson observations are available on request. Please note: There is no waiting room for parents/carers or family members. Each lesson is based on the one in, one out system. Parents are encouraged to either wait outside in their cars or to take advantage of Asda, Sainsbury's, Lidl and Spar being nearby.